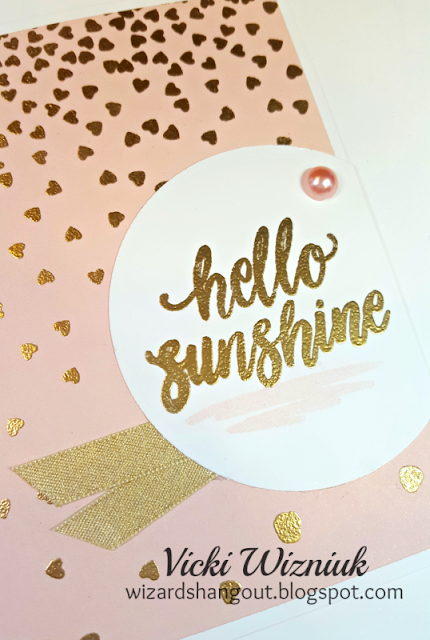 I love the look of Gold with Bashful, the CTMH colour of the year. The sentiment is from Sunny Thoughts, the February stamp of the month. And the stamp right below the sentiment is from the Splash of Color stamp set. The embellishments I used are Bashful Pearls, and Gold ribbon.